As one the biggest job creators in South Africa, Small, Medium and Micro-sized Enterprises (SMMEs) have been said to be responsible for creating approximately 60% of new employment opportunities while at the same time contributing between 52-57% to the GDP. This crucial part of the economy is however facing a new set of challenges as consumer prices keep rising. The National African Federated Chamber of Commerce and Industry (NAFCOC) recently expressed its concern following the continued negative effect increasing food and basic commodity prices are having on business. The organisation has now committed to working with players in the food industry to find ways of mitigating the matter. “The worst hit section of our country is SMMEs, especially those in the townships who form the bulk of our membership. They service mostly low income communities whose buying power is being eroded by the price increases. Such communities are resorting to restricting their purchases of food and other basic commodities to the detriment of small businesses. This scenario has negatively affected small businesses and we call upon the government and other stakeholders to join hands with us to find a lasting solution to this matter,” NAFCOC says. 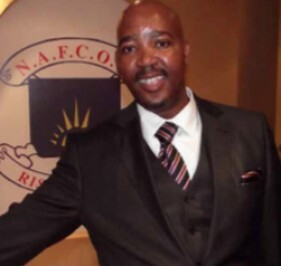 NAFCOC president, Lawrence Mavundla, and organisation member, Innocent Dzawoma, spoke to us about what the current state of affairs entails and what NAFCOC’s plans are to address the situation. Mavundla says most of NAFCOC’s members (approximately 97%) are small businesses found in townships. Its members, especially those in the retail sector, are now citing decreasing sales since customers no longer buy the same quantities they used to. The main concern being raised by these consumers are the high cost of living. Mavundla says SMMEs who are members of NAFCOC often sell to the poorest of the poor and the unemployed, so when price increases hit the economy, people go hungry. “The situation is so bad that some of our members are being forced to close their businesses due to lower sales. This is also coupled with competition from bigger retail chains and foreign owned businesses that use bulk buying to their advantage. In an environment where the cost of living is becoming high, consumers resort to hunting for cheaper prices, no matter how small the gains may be. Our members, due to their inability to access stock in bulk and thereby enjoy cheaper stock prices which they can pass down to the consumer, are in a very difficult position because of recently inflated prices,” he says. Looking at some of the main factors influencing rising consumer costs, Mavundla says it currently consists of a concoction of the weaker rand, finance costs, human resources and transport costs which, according to Mavundla, has also contributed to rising food costs. More importantly, he says, the current drought spell has negatively affected the amount of food in the market, leading to a further escalation in prices. This shortage has further forced the country to import food at high prices because of the weaker rand. An additional factor Mavundla mentions is that less jobs are being created by SMMEs who are lacking access to markets and finance. Mavundla says in the short-term, they expect a lot of financial strain as many families try to readjust their lifestyles and financial priorities, while in the long run, they anticipate seeing an acutely disenfranchised mass of low income communities sliding deeper and deeper into poverty. “We are likely to continue seeing increasing food prices as farmers and food producers increase prices in order to mitigate their financial challenges and plan for the coming season. “Accompanying this upward trajectory of food prices will be acute financial strain to hundreds of thousands of small businesses in the townships who derive their livelihood from selling basic food stuffs to these township consumers. This is likely to lead to these former retail entrepreneurs and an average of two employees per shop they employ, joining the ranks of the unemployed,” he says. 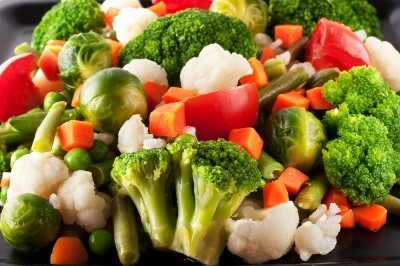 NAFCOC has however promised to work closely with players in the food industry in an attempt to mitigate these effects. 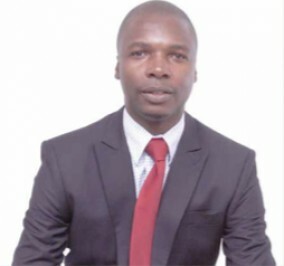 Dzawoma says NAFCOC has pioneered the establishment of a buying group aimed at building a critical mass of buying power among their members and small businesses at large within the townships of South Africa. 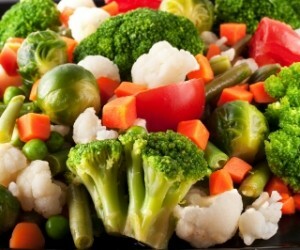 This buying group, called Family Best Buying Group (FBBG) will access stock (dry groceries, hardware, fruit and vegetables) from manufacturers at competitive prices due to bulk buying discounts to be derived. This, NAFCOC says, will in turn enable their members and small businesses at large to acquire stock at competitive prices and thereby passing over cheaper prices to the consumers. The organisation will also be embarking on revolving credit from the stakeholders to assist SMMEs with access to markets. Commenting on the future of SMMEs in the local market, Mavundla says unless big business and Government come to the party, the future does not look bright for most township businesses. “We need a deliberate effort by big business to be content with a cut in their profits so that they can pass cheaper prices to down to the consumer along the distribution channel. Government should look at granting subsidies on some basic commodities and also increasing the net of VAT exempt goods. The government should support and introduce to Parliament our quest for Parliament to pass competition laws that restrict the movement of bigger retail chains into townships where retail SMMEs operate in. “The worst case scenario is the township small business sector being wiped out and replaced by bigger chain stores, who exploit their economies of scale to their advantage. Already, big business continues to take over the township, with the set aside 30% for SMME not fully utilised. Foreigners need to be monitored and have a working permit so to as contribute to SARS, and LED needs to have a business representative so they can understand the man on the ground and pressures that he faces,” he says. This situation could easily leave us wondering what the result will be should nothing get done to alleviate the plight of small business. As Mavundla explains, if nothing is done, we can expect to see, within the next 12-24 months, a complete realignment and overhaul of local township and rural economies. Mavundla also mentions that for this reason, retail stores need to partner with SMMEs. Looking at Government’s efforts to assist the vulnerable yet crucial sector of the economy, Mavundla says they applaud the efforts of the Department of Small Business Development and national and provincial development finance institutions, but that more is needed if we are to make a dent in this menacing situation facing the country. Dzawoma says when it comes to NAFCOC’s plans to help SMMEs and its members, that the organisation has since its formation 52 years ago in 1964, advocated for small business development such that there is no corner of South Africa that it is not known in business circles. Irrespective of this, Dzawoma says, NAFCOC has stepped up their gear. “Our members are asking more difficult questions. They are becoming more demanding (And we are not complaining!). They want a NAFCOC that can give them more strategies to win in their businesses. They are seeking answers and solutions to a global business that is shrinking by the second due to technological advancement. To this effect, NAFCOC has committed to help members change with changing times by offering an array of trainings and support services that range from local lobbying and advocacy, business mentoring , exposure to international trade missions, assistance with specific industry sector knowledge and skills through its industry specific sector chambers. “We plan to increase the pace of growth of our buying group initiative by joining hands with provincial governments in establishing distribution warehouses where small scale retailers can acquire stock at competitive prices. We hope to not only provide access to cheaper stock to thousands of retailers but also access to markets to thousands of producers who produce good quality products and yet are unfortunately not able to meet the demands of huge retail chains. We will gather these producers into a formidable army that can feed South Africa. We plan to give training to start-ups and to assist those already existing to have sustainable businesses,” he says. NAFCOC is also in the process of setting up nationwide roadshows (Imbizos) where matters relating to small business will be discussed. Dzawoma says stakeholders will include local municipal administrators and politicians, local traditional leaders, business and community members. They intend on having conversations around how to make their local communities more accessible for business by working toward removing hindrances such as restrictive and obsolete by laws, improve on infrastructure, trade policy and service delivery. This, Dzawoma says, is based on NAFCOC’s belief that the South African economy is made up of local economies and that these local economies form the foundation of the national economy. It then, according to him, goes without saying that in order for the top structure to stand against any threat to it, the foundation should be strong. “For a long time our eyes as South Africa have been focusing on the bigger picture, leaving out the nuts and bolts that make up that picture which are the local economies. We believe that it is time to rebuild and renovate our economy block by block,” he says.